Application Transfer ACID / ALKALI / Effluent at higher head & High flow rate. Recommended ACID effluent transfer for large scale industries. 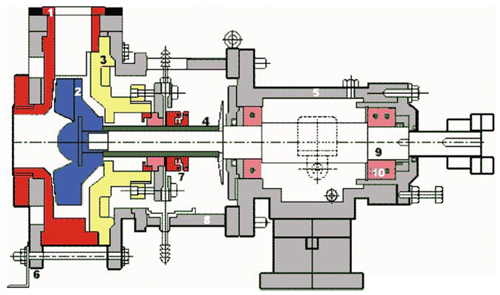 Delivery (mm) Impeller (mm) HP RPM Head in mtr. Capacity in m3 / hr. Sr. No. Part Name M.O.C. 13 Bold For Clamp P.P. - S.S.
16 Hard Ware M. S. Cad Pltd. 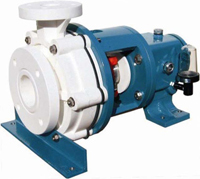 Pumps Are Recommended For Excellent for scrubbing corrosive and aggressive gases like CI2, Br2, I2, SO2, SO3, CO3, etc. Used in transfer of chemical in batch process. Recommended for use against filter press in dyes and intermediate industries. For recirculation of chemicals in electroplating industries. 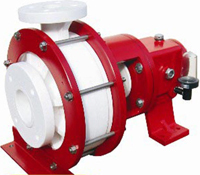 Pumps Are Recommended For Transferring acids / alkalies / corrosive chemicals Loading and unloading of tankers. Used for effluent treatment Plants for max. 3 mtr. 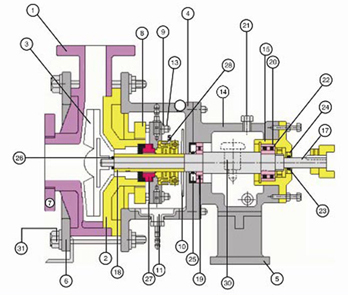 negative suction with foot valve. 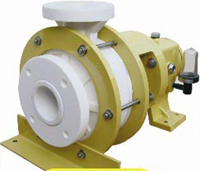 Used for recirculation of chemicals in electroplating plants and picking plants. 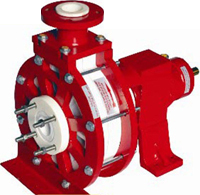 Standard Pumps fitted with Ceramic Sleeve and Teflon Bellow Mechanical Seals. Excellent for handling corrosive chemicals like HCL, dil H2SO4, NaOH, HNO3, H3PO4, NaCI etc.